GOING, going — this year’s coveted Block properties are almost gone. And with auction day fast approaching, we asked the country’s top auctioneers the art of their craft — and how to orchestrate the best possible price before the final hammer falls on Sunday night. Block resident auctioneer Damien Cooley said attracting emotionally charged buyers in a competitive auction was a winning formula for achieving a premium sale. “Auction provides you with the perfect selling platform, driving up the price as buyers contend for the same property,” he said. McGrath chief auctioneer Scott Kennedy-Green told news.com.au that the time of year shouldn’t be a factor for a successful auction — if the property was priced correctly and in demand, buyers would come. He said recent NSW sales that had done well at auction included the dilapidated 56 Oxford St, Woollahra, which sold for a whopping $650,000 above its $2.2 million reserve, as well as Maroubra’s 54 Edgar St, which sold $300,000 over its $2.05 million reserve, and 7 Kemmis St, Randwick, which sold $265,000 over its $1.5 million reserve. “The best properties to take to auction would see the greatest volume of buyers, so popular suburbs in popular price brackets that are in suburbs that already have an appetite to engage in the auction process,” he said. Mr Kennedy-Green, who has auctioned four Block properties when the show was filmed in Sydney, said a good auctioneer should engage with their audience and be the perfect balance of welcoming and professional. “Telling jokes when you’re dealing with someone’s most important asset is probably not the done thing, but a smile and an engaging manner can help people bid, and that’s the goal,” he said. Sydney auctioneer Tom Panos said good auctioneer stood out more when there wasn’t a lot of interest in a property. “When you have a lot of people bidding, all the auctioneer is doing is the numbers — but where auctioneers really stand out is where you only have a few people fighting over the property,” he said. “There is nothing worse than having a beautiful home, the right marketing campaign, lots of interest — and a bad auctioneer. “They make buyers feel stressed and they don’t add any comical relief when both the buyers and vendors are stressed. “What a good one does is be able to make people lose the sharpness and edginess of a stressful situation. “The other thing they are good at doing is they don’t slow the momentum of an auction — some auctioneers repeat themselves over and over again — a good one will let things roll and build rapport with people bidding because having likability with our auctioneers is important, and increasingly a good auction is going to come across as not just being someone reading numbers, they make it easy for people to participate. Mr Panos, who has been an auctioneer for two decades, said the fastest auction he had seen was over in less than one minute. “Occasionally you may have a buyer which has a strategy called the hammer blow, when they come and put one strong bid right at the start which is very aggressive — they put it fast and loud to scare everyone else away,” he said. 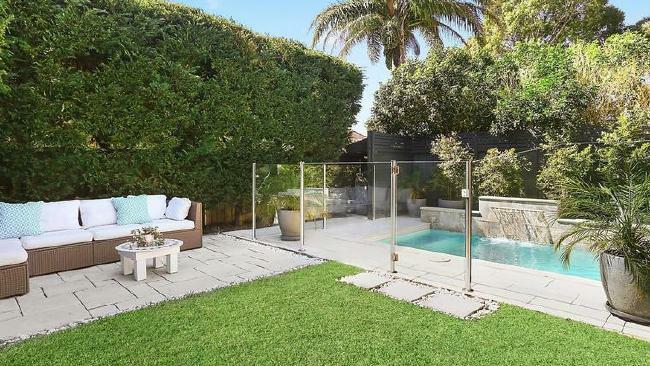 Matthew Shalhoub, Principal of Under The Hammer, said traditionally dominated by Sydney and Melbourne, a successful auction was no longer bound by area, or type of property. “If you have a motivated vendor who is looking to go to the auction process, a result will more often than not be achieved, and we have seen this as the auction process has expanded into markets successfully that were once upon a time non auction orientated areas,” he said. “In my experience people are often uncertain because of the unknown. “Familiarising themselves with the process and addressing any fears or concerns is a large step in removing any objections. He said that in the event there were no registered bidders for a property, an auction would more than likely still go ahead, perhaps in just a slightly different format. “Each agent or auctioneer will most often have their own way of handling this scenario, but by opening the auction process it does allow the agent to continue the process of selling under auction conditions any stage throughout that day,” Mr Shalhoub said. “In the event that there is only the one registered bidder an auction property can still be effectively sold and we are seeing more of these scenarios at the present time. “A person who is registered shows that they have intent to purchase — matched with a motivated seller there is no reason why a sale cant be achieved.